I absolutely love lemon-based desserts. I am not sure if it’s an age thing, but lately, they have become m, favourite and I like them even more than chocolate-based desserts! If you had told me this a few years ago, I would have never believed it could happen! These Lemon and Oil are delicious and quite light as well. In fact, there is no butter in this recipe, as they are made with vegetable oil. Also, l don’t usually like glazes, but in this case it is an absolute must as it gives the cakes extra lemon flavour! So make sure not to skip it! 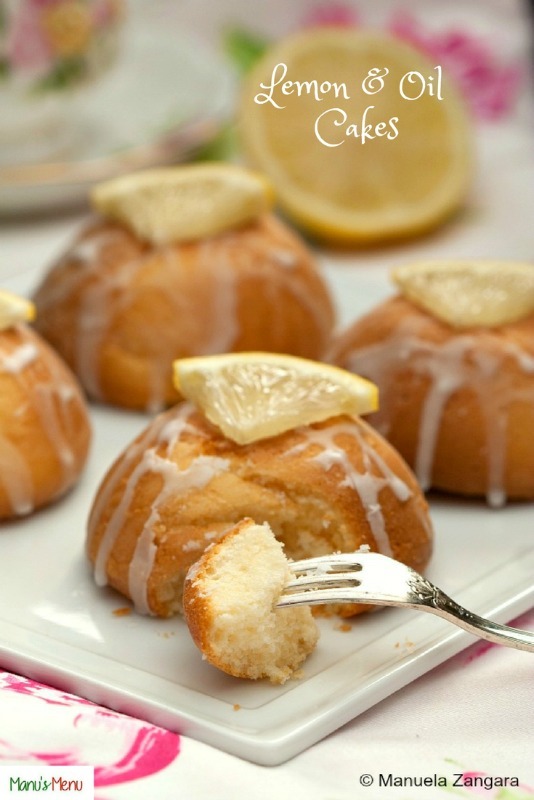 These little cakes are the perfect tea time treat! Enjoy! 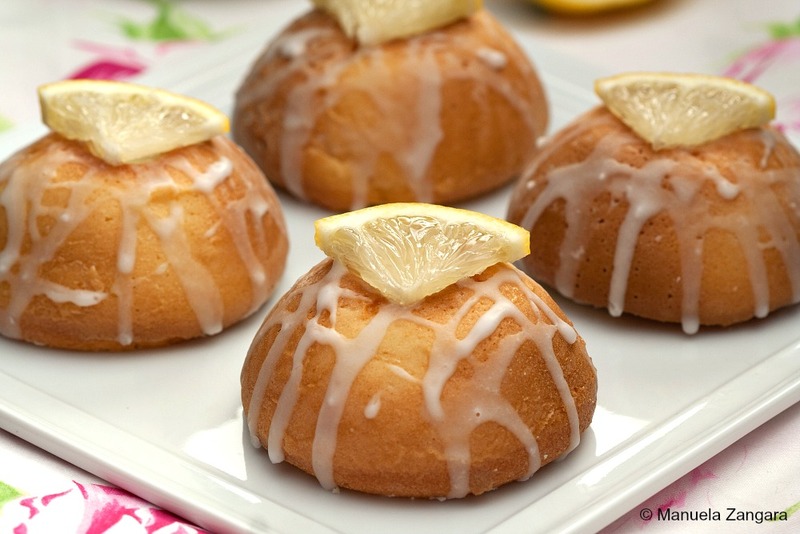 Lemon and Oil Cakes - lemony and light. The perfect tea time treat! Beat the yolk with the sugar until smooth and white. Add the oil, milk, lemon juice, and lemon zest and keep beating. Add the flour and baking powder and keep beating. 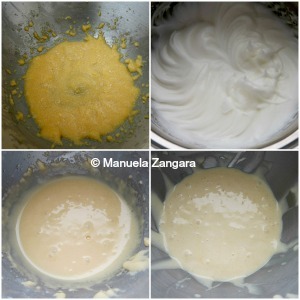 In a separate bowl, whisk the egg whites until stiff. 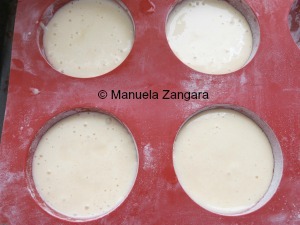 Gently fold them into the batter until incorporated. 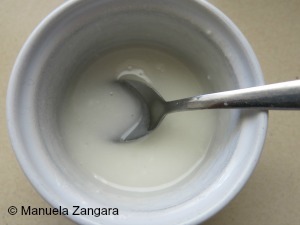 Pour the batter into greased moulds and bake, in a pre-heated oven, at 180°C – 355°F for 20-25 minutes. When ready, let them cool down for 5 minutes, then unmould the cakes and let them cool down completely. 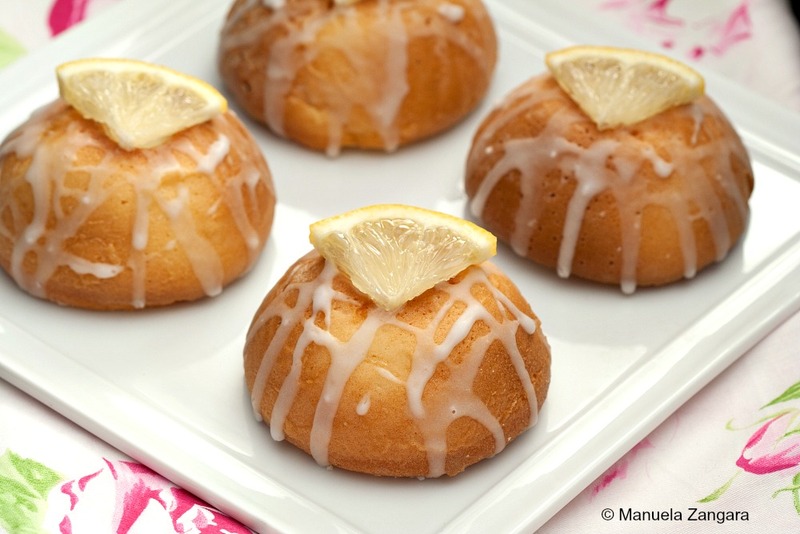 In the meantime, prepare the glaze by mixing together the lemon juice and icing sugar. Use it to drizzle the cakes. Decorate with lemon slices and serve.